Teachers have known for a long time that oral reading can be a valuable instructional method, but sadly, for many children, reading around the group (or worse still the class) kills interest and motivation. But we know from research that 'repeated readings' can improve fluency and ability (e.g. Stoddart & others 1993, Rasinski 1990, Rasinski & Hoffman 2003). So how can we move beyond 'round robin' reading and embrace more creative and enjoyable approaches to oral reading? 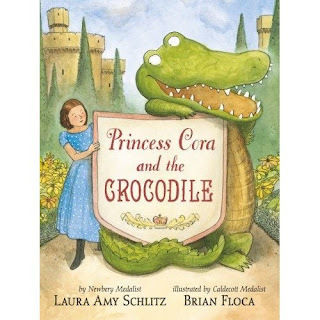 With the incredible team of Newbery Medal winner Laura Amy Schlitz and Caldecott Medal winner Brian Floca, it is no surprise that this new book is wonderful. Princess Cora is sick of boring lessons. She’s sick of running in circles around the dungeon gym. She’s sick, sick, sick of taking three baths a day. Her princess life leaves little room for the ordinary things of life - like a pet dog! Enter her fairy godmother who doesn't supply a dog but a crocodile! This is a book that will resonate with many children who will know what it is to have an over-scheduled and regulated life. And perhaps, it might challenge a few adults to see the benefits of simple things. Laura Schlitz has created a memorable and authentic modern fairytale that is brought to life by the illustrative brilliance of Brian Floca's work. Children aged 4-7 will love this book either to listen to, or read themselves. 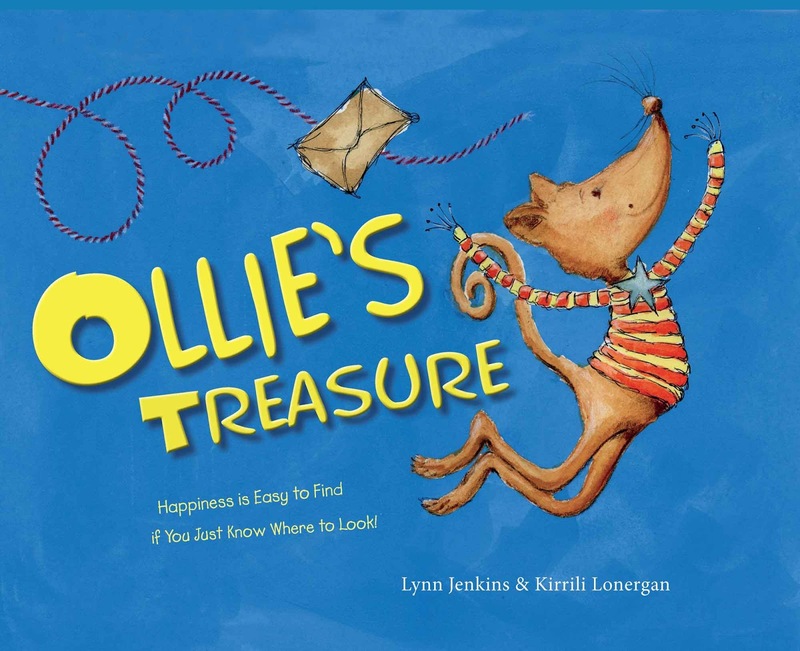 This is the delightful story of a small rat named Ollie and his grandmother who helps him to learn that often fun and satisfaction can be found in the simplest and most surprising of places. Ollie's grandma sends him on a treasure hunt using a map that promises to lead him to 'something that will make him happy always'. Little does Ollie know that the things that will make him happy are not toys, or gadgets or the customary places that children often turn to for pleasure and fun, but rather in the simple things of life. His grandmother's treasure map takes him on a journey that requires him to use his senses to explore his world. It comes as a surprise to find joy and pleasure in smelling the roses, gazing at the sky, feeling the grass beneath his feet and savouring the tastes, smells and sounds in his world. A story that points to the value of mindfulness for our children in a world of hustle, bustle and gadgets. This delightful picture book that tackles the language of opposites, does so with some surprising differences. First, the retro cartoon-like illustrations of Jay Fleck are delightful. But second, Susan Hood's text is linguistically rich, quirky and tackles opposites in some surprising ways. 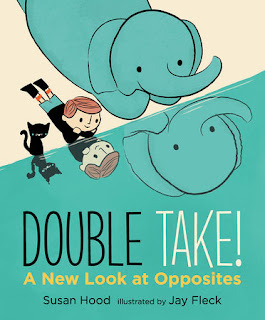 The book offers a new, engaging and entertaining perspective on opposites. Prolific author Susan Hood and illustrator Jay Fleck have created a wonderful book that children aged 3-6 will listen to and read many times. 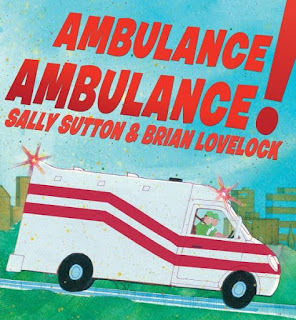 I've enjoyed and reviewed the wonderful work of award winning Sally Sutton and Brian Lovelock before on this blog. Their attraction to big machines is a topic that many young readers enjoy, and previous books like 'Construction' and 'Roadwork' are great examples. They have teamed up again for 'Ambulance Ambulance!'. Once again, the same simple, bright and action packed images support the simple text that exploits rhyme, onomatopoeia and action. Bleep, bleep. Emergency! News just through: Crash, crash, there’s been a crash. Let’s go, crew! Now what child 3-5 years old won't join in a shared reading of this book! This wonderful French team gave us 'Danny' and now 'Raymond'. What if dogs could walk and talk and go to work? Well, Raymond the dog has big ambitions beyond his ordinary, canine life in the big city. He wants to take himself for a walk and get his own dinner. And when he’s done all that? Of course, it wasn't going to stop there. Trips to the theatre, supermarket and nights at home, were suddenly different. And Raymond discovers a magazine that will change his life even more - 'Dogue'! Soon, he wants a job, just like his owners. 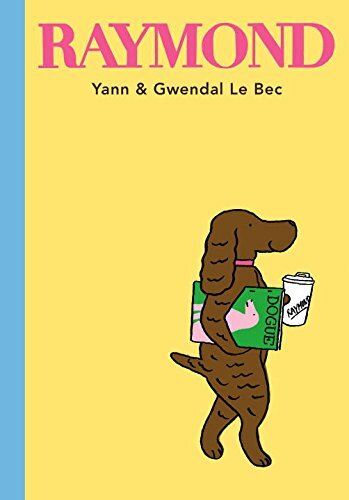 But when Raymond begins a high-flying journalism career at Dogue magazine, he soon realizes it’s no walk in the park… The wonderful 'visual' humour, as well as the delight of the text will mean that children, parents and teachers will just love this book! This book is the latest in a wonderful series that helps children to understand the different lives that children lead around the world. Each book takes the reader through a typical year to reveal the everyday celebrations, cultural events, special holidays, sport and lifestyle. I have reviewed previous titles by this team on my blog - 'An Aussie Year', 'A Scottish Year' and 'An English Year' (HERE). 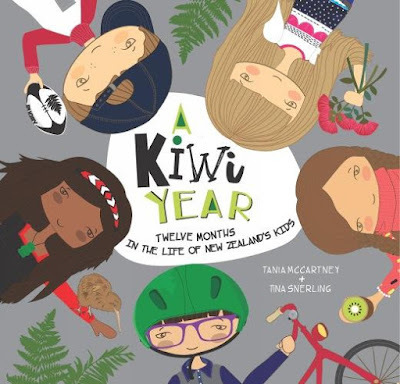 Now it's time to find out what life is like in 'A Kiwi Year'. 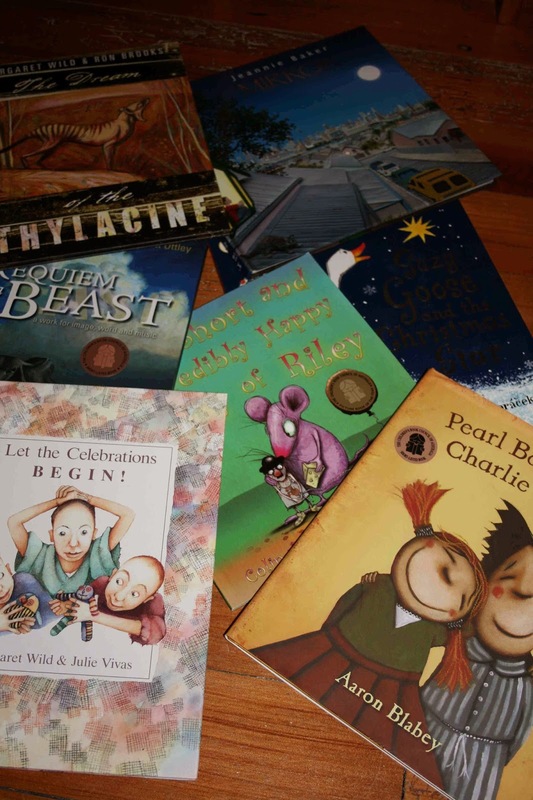 Each book in the series begins by introducing us to five children from diverse backgrounds. We then follow them through the year. As the seasons change, so too do the things children play, celebrate, learn and do. In January, some play 'cricket', plant veggies in the garden, go camping and enjoy summer holidays. In February, there are celebrations for Chinese New Year, Valentine's Day and hot weather at the height of summer. In March, there is a national Maori celebration (New Zealand's First People), the celebration of Pacific communities, 'Children's Day', and homework! Children will love this simple but effective introduction to the life and culture of people from another land. 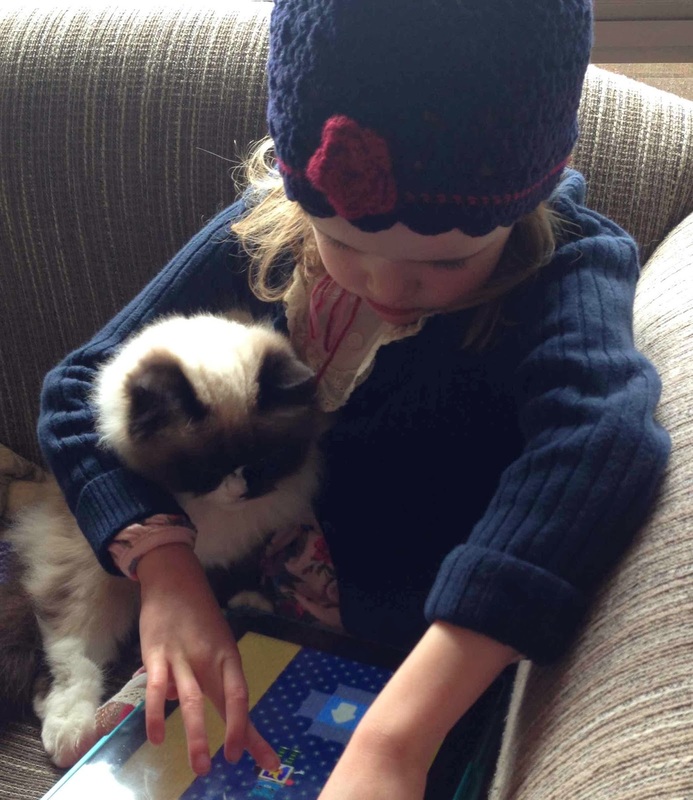 Tina Snerling's wonderful images will have children wanting to dip into the book many times. 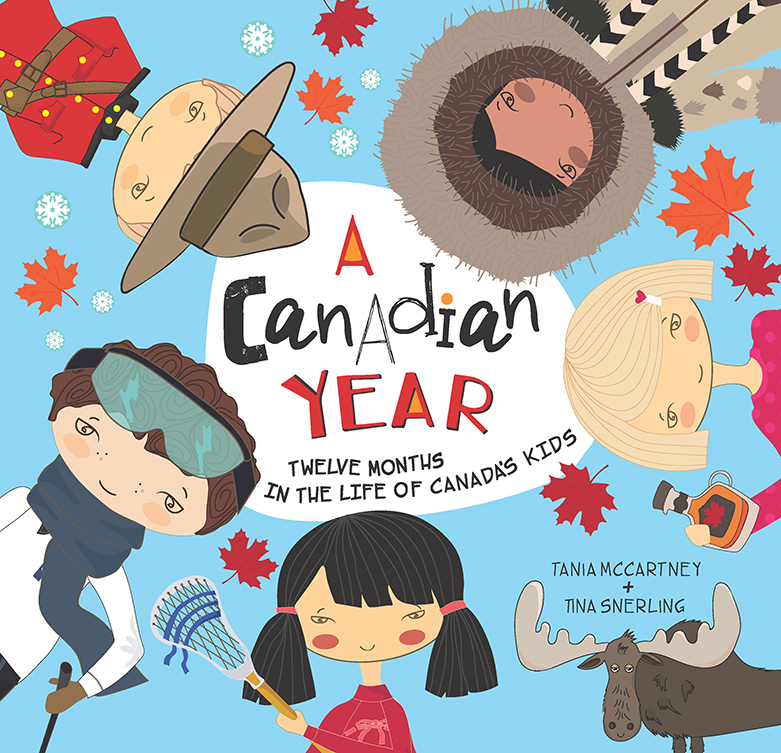 Just as with 'A Kiwi Year', children are given an insight into the life and culture of another country - this time Canada! All the books in this splendid series offer so much more than any geography text for children ever could. The teacher in me wants to race off to a classroom to share this book as a basis for a whole unit of work on Canada. What better way to understand a nation's history, social and cultural practices, natural wonders, climate and more. Children have the chance to view another culture through the eyes and experiences of the children who live it every day. Wonderful stuff! The texts are carefully crafted by Tania McCartney who doesn't waste a word, the descriptive text for each event or activity complements the illustrations, and judicious labelling also add depth with few extra words. Another great book to read from front to back, or to leave on the table to be dipped into over and over again. Each time, young readers will notice new things, have additional questions, and be actively learning about other cultures and nations. I have a glass jar full of shards of broken pottery collected on British sea shores. Each fragment echoes a place, a time and a story! My grandchildren love to empty the jar out and wonder about the meal tables these pieces might once have witnessed across 2-3 centuries. As the little girl takes off the lid in search of a button to replace her teddy's lost eye, her Nanna helps her to search for just the right one. A special button is needed for Teddy! Just the right size, just the right shape, and just the right colour. And as they sift through them, memories come back for Nanna. "This one is special ... it was on the jacket you wore home from hospital." And the little girl has memories too. "I remember that button. It was on the birthday jumper you made me." 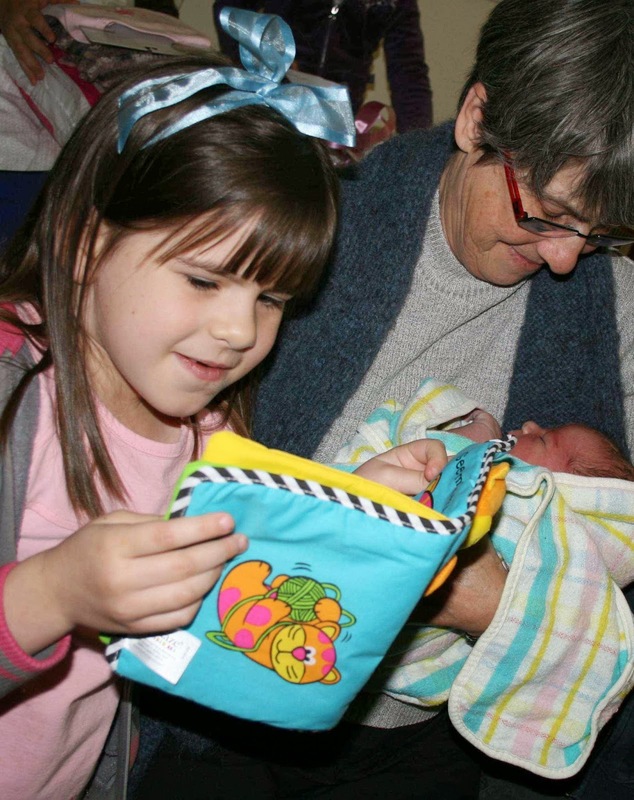 And when they find the right one, Nanna sews it on. What a delightful book! The gorgeous watercolour illustrations are all works of art in their own right. Perfect to read at bedtime, or for any child to enjoy aged 3 to 7 years. Note: This book was temporarily out of stock when I wrote this post (no doubt due to the positive reaction to the book). I'm sure that the next print run will be out soon. Do check, it is worth it!